The Forbes article does an excellent job at explaining what the legal issues are all about, so I’m not going to discuss them further here. 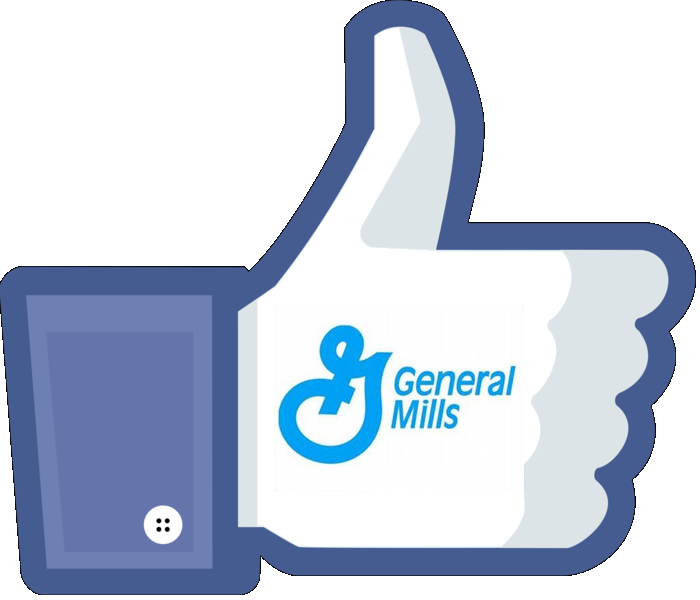 What is interesting to me is the fact that a corporation as large as General Mills actually paid attention to the masses on social media, the court of public opinion as you will, and changed their policy back to their old legal terms. Regardless of how you feel about General Mills doing an about face only 48 hours later, it’s a sign that smart brands listen to what consumers say on social media. Commentary on Facebook, Twitter and Instagram, to name only a few, give consumers a voice that big business is really starting to hear. Molly Katchpole had a beef with Bank of America and Verizon over charges she felt were unfair to customers. She set up petitions on Change.org. This millennial was able to bring attention to the issues and caused the companies to drop their stances on certain fees they had applied to their bills. Big business is doing more than just setting up social media sites for promotions. They are listening to the conversations online and are taking action. A recent Social Media Marketing University (SMMU) study indicates that 70 percent of brands respond to customer complaints on social media within 24 hours while just 45 percent of brands have a policy to deal with customer complaints on social media. While brands are starting to get on board with today’s reality, and some have set the bar very high, others have a long way to go. Just recently, one of my colleagues had an issue with USAirways. She posted something on Twitter on a Friday. USAirways responded the following Monday (after several Twitter influencers reached out on my colleague’s behalf) saying that they were sorry they hadn’t responded sooner but that the social media manager had been off for the weekend. At the same time, American Airlines responded with a suggestion as to how to get the matter solved. Good thing the two companies have merged – maybe American will help USAirways handle their online discourse better. Implement a social media response policy, educate everyone in your company about the policy, and then stick to it. Monitor social media for brand discourse. Appoint a team of social media ambassadors to correspond on your company’s behalf. When you see something negative, review all social media sites for posts from the same individual to see if he/she is a serial complainer (no pun intended). If so, most of his/her comments will likely fall on deaf ears. Don’t do anything. If the person appears legitimate, respond within 24 hours (keeping in mind that some responses may require the approval of a higher up and possibly even your legal department). Provide viable solutions when possible and respond with integrity. Accept that you don’t always need to have the last word and you cannot make 100 percent of the people happy 100 percent of the time. And remember, customer service is still as important today as it ever was and every situation is different. So while it is imperative that you monitor and respond to social media attacks (when appropriate), there is no one-size-fits-all approach. Have you ever posted something on a company Facebook or other social media page and received a response? Share your stories in the comments; I’ll read them over a bowl of Cheerios!